ENGAGED! 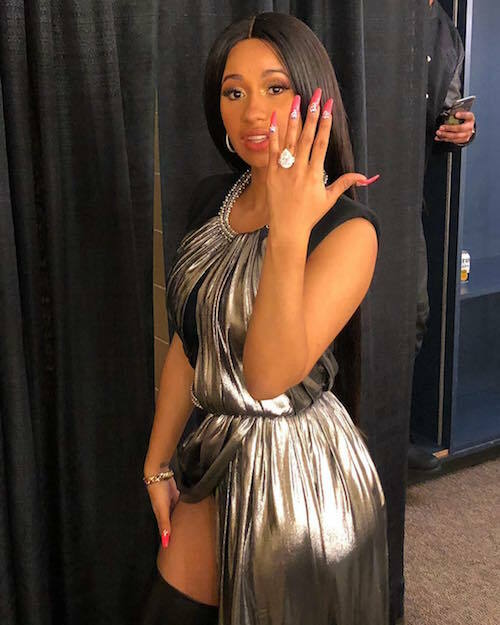 Offset Proposed To Cardi B On Stage And The Ring Is RIDONKULOUS! They're engaged! Cardi B. went from breaking up with Offset for 30 minutes last week over allegations of him stealing her blanket to the Migos rapper popping the question during Migos' Powerhouse Philly set. Ahhh Ratchet Regalness. And we love it. The two have been dating since early this year, and there's been plenty of rumors ever since then saying they're engaged. But Friday night, they made it official while performing their new song "Motorsport". The track, also featuring Nicki Minaj, just dropped Friday night, and there's nothing like an engagement to give a song a major promo push. From break ups to make ups to to on stage engagements. Hip hop love at its finest. Cardi gets to turn her official Powerhouse Philly afterparty tonight at Vanity Grand into an impromptu engagement party. It's not set to end until 5am. PREVIOUS: No, Odell Beckham Jr. Is NOT Dating Iggy Azalea + Is There Beef Between Drake & The Weeknd Over Bella Hadid? FAB FLIX OF THE DAY:MONDAY, APRIL 22ND!